Whenever there’s a crunch it’s up to Helen Stott to keep her dysfunctional family in order even with the constant threat of war on the doorstep! Amidst the uncertainty of life, love and war the Stott family rely on each other through all life’s trials whether the panic of an air raid, the joy of a new love or a funeral for the family pet. Charting a Teesside family’s day to day drama from the start of the Second World War all the way through to D-day this bittersweet comedy shows you what really kept the home fires burning! Glasgow-born playwright CP Taylor had a long-standing relationship with Live Theatre in Newcastle, with many of his plays first performed there. ‘And A Nightingale Sang’ began life in the 1970s as an oral-history project commissioned by Live, first performed there in 1978, set in and around Eldon Square during the years of the Second World War. By permission of Taylor’s Estate, less is MORE’s production moves the setting to Middlesbrough’s Exchange Square, but this is the only thing that has been changed and the production still retains its sense of time in history without feeling at all dated or old hat. Every performance in this ensemble piece is absolutely spot on. The strands of each of the characters’ lives are held together by the faultless Laura Lonsdale as narrator and elder sister Helen. She engages the audience from the very start in a trademark Taylor direct address to the audience, and carries us along for the rest of the piece, never letting the pace drop and maintaining a friendly rapport with us that makes it feel like we are genuinely being allowed a private peek into a real family home during wartime. Her developing love story with soldier Norman is handled with subtlety and skill, and by the end of the piece she brought tears to a few eyes in the audience. As Norman, Louis Roberts gives an incredibly measured and nuanced performance. This character, more than any other in the piece, has the potential to become caricatured or played over-the-top, but in the skilled hands of Roberts his credibility is maintained throughout and he remains a fully rounded, believable and likeable person. An absolute top-drawer performance, full of conviction. Steve McNichol’s grandpa Andie is very funny and very nicely done. He has some of the funniest one-liners in the piece – as well as some of the most thought-provoking – and it’s all wonderfully underplayed. It was always a joy to see him come back on stage. Mick Liversidge and Rosie Stancliffe display a wonderful rapport as husband and wife George and Peggy. Stancliffe’s shrill, God-fearing Peggy is a delightfully comic performance, whilst Liversidge gives a calm, understated and thoroughly convincing performance – as well as bearing most of the live music duties, spending a lot of time at the upright piano on stage. This he does perfectly throughout, and he and the rest of the cast also demonstrate fine singing voices with some beautiful harmonies. Thea Jo Wolfe and Luke Maddison play younger daughter Joyce and the dashing young soldier Eric who she agrees to marry but seems uncertain as to whether or not she actually loves him. Wolfe and Maddison work very well together, portraying the ups and downs of their marriage with ease. Wolfe plays very nicely the scenes where she tries to work out if her husband’s leave dates tie in with the conception of her child. And Maddison has a great command of the stage; always watchable, and always utterly focussed. The set design and staging works perfectly, and the excellent lighting design by the Middlesbrough Theatre team helps in no small way, not only in evoking the atmosphere of the piece, but also in rendering seamless changes of time and location. Director Thomas Dyer Blake’s decision to have moments throughout where the whole family is talking at once – effectively showing us three simultaneous conversations – is a simple but incredibly effective one. It succeeds in giving the impression of a big family all clamouring to have their voices heard, and his skill in orchestrating these scenes so that key lines from various characters are still heard is worthy of note. His direction is confident and assured, and is obviously a big contribution to the overall success of the piece. 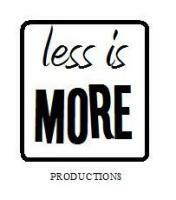 This is a stylish and classy production by less is MORE. It’s a real shame that it’s only enjoying such a small run; if you hear of it being revived any time in the future, I highly recommend you cash in your ration book and get a ticket to see it!